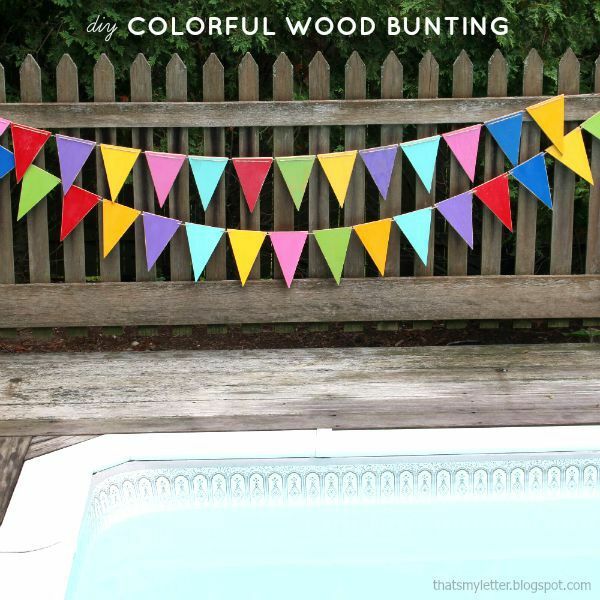 Who loves to make crafts with wood? 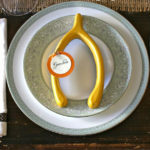 Me of course, so what’s more appropriate for Thanksgiving than a wood turkey place card holder? 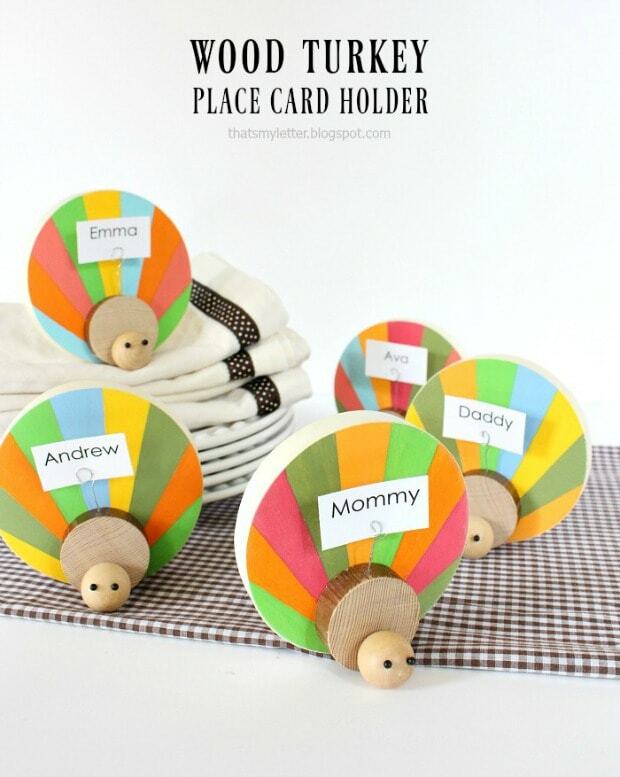 A DIY tutorial to make a wood turkey placecard holder. 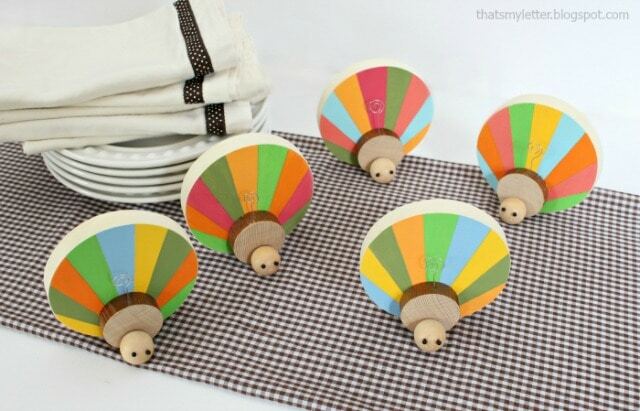 Use craft wood pieces to create a colorful turkey for each Thanksgiving place setting. 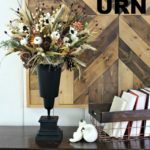 This is a great scrap buster project that you can make using any circular size wood pieces you may have on hand. 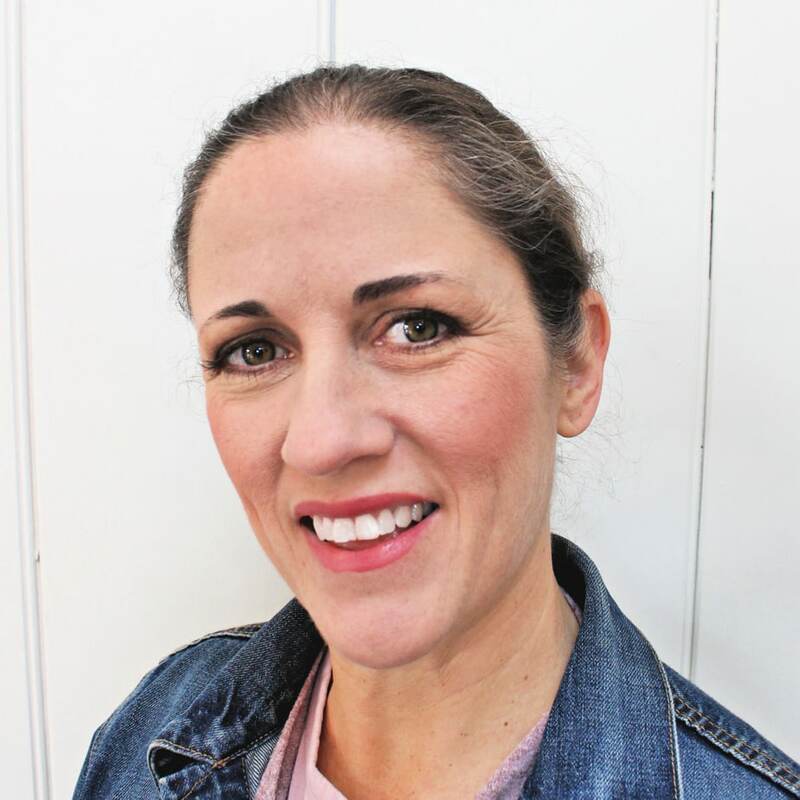 Search through your stash and pull out various circular pieces to layer up the turkey head, body and feathers. 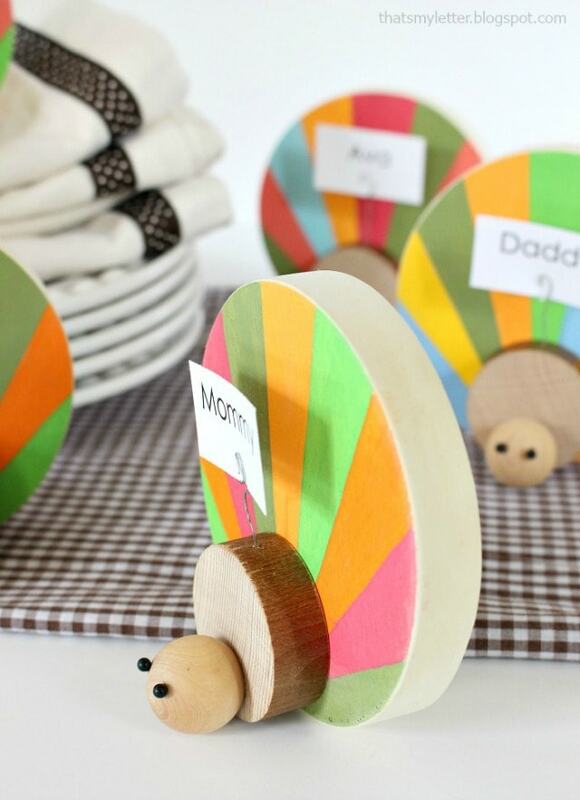 It’s a super easy wood craft that the kids can get involved in by painting the striped for the feathers. I’ll show you how down below. 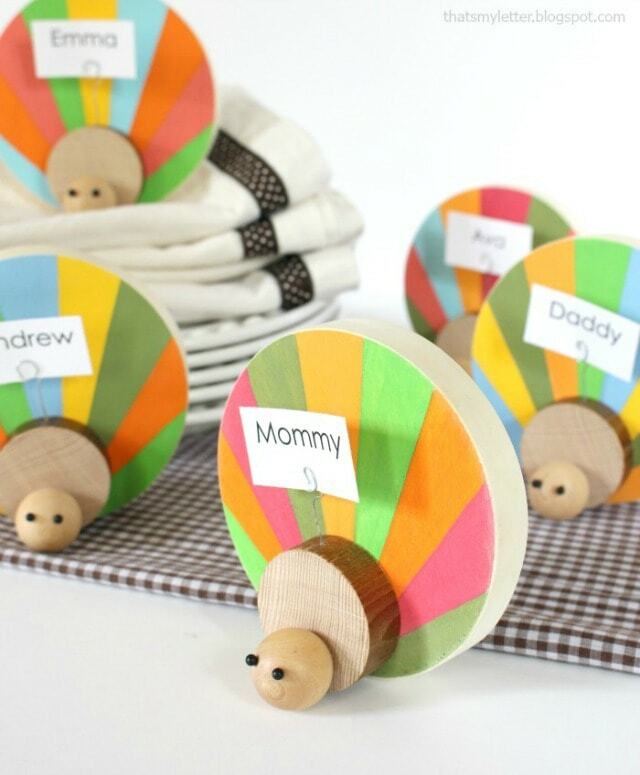 I gathered up two different size wood rounds and a doll head to make the turkeys but your could use wood circles of any size, check your local craft store for various sizes. 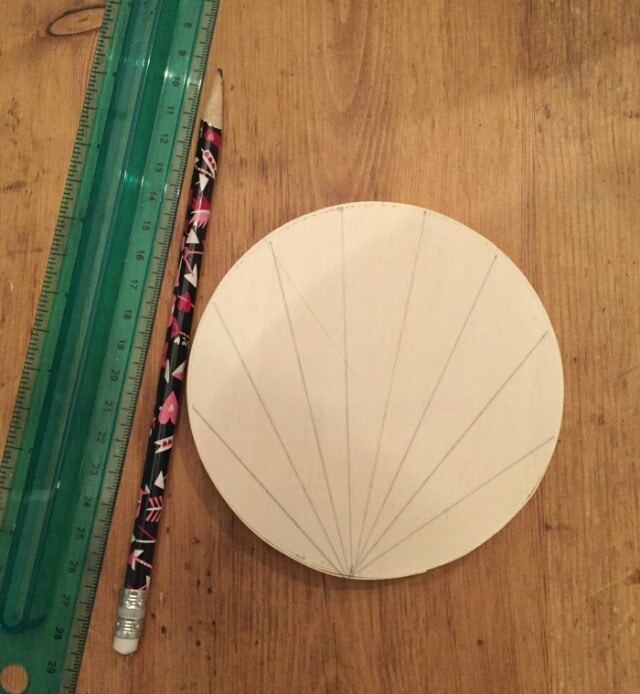 Step 1: On the largest wood round use a pencil and ruler to draw the feather lines stemming from one point fanning outwards. Draw as many feathers as you like, the more lines, the more colorful your turkey will be. 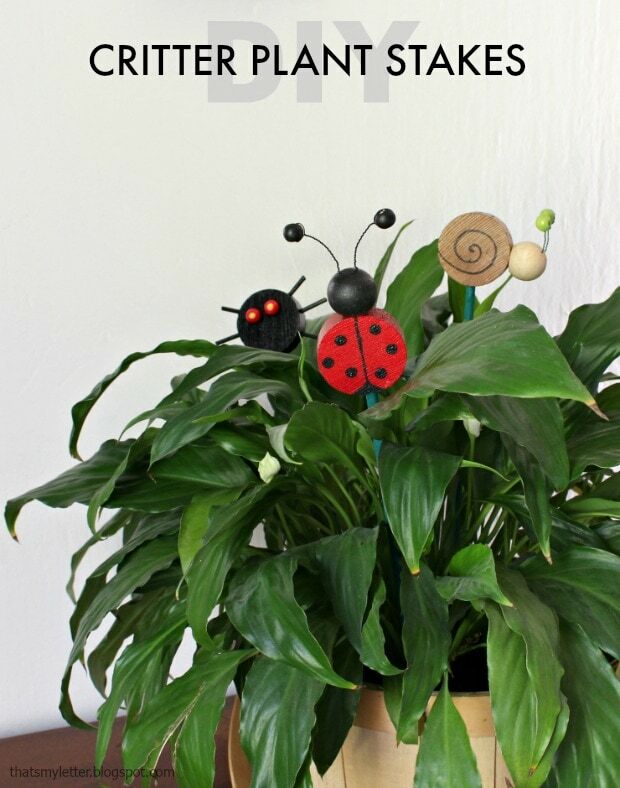 Step 2: Paint the feathers using acrylic craft paint. 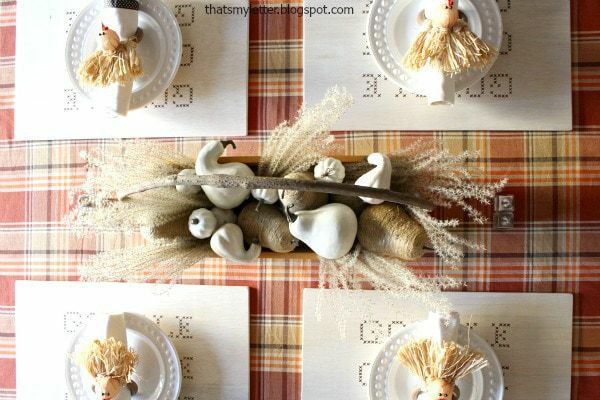 The kids can do this part and the feathers don’t have to be perfectly in the lines. Step 3: Predrill a tiny hole into one edge of the turkey body piece (1 1/2″ wood circle). 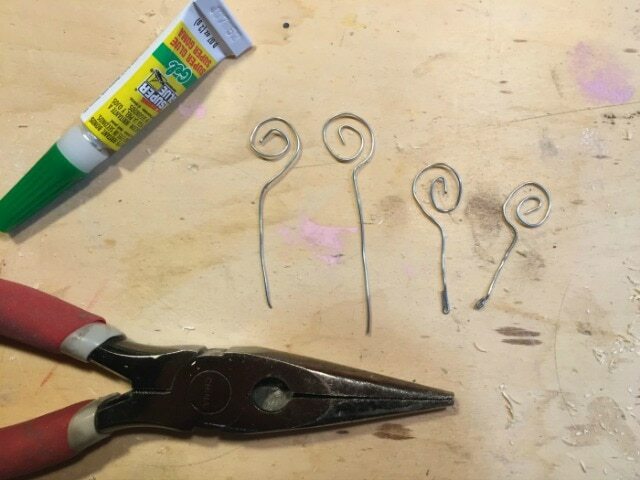 Step 4: Cut a 3″ piece of wire and twirl to shape. 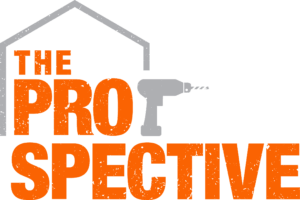 Insert straight portion of wire into hole in wood body with a dab of super glue. 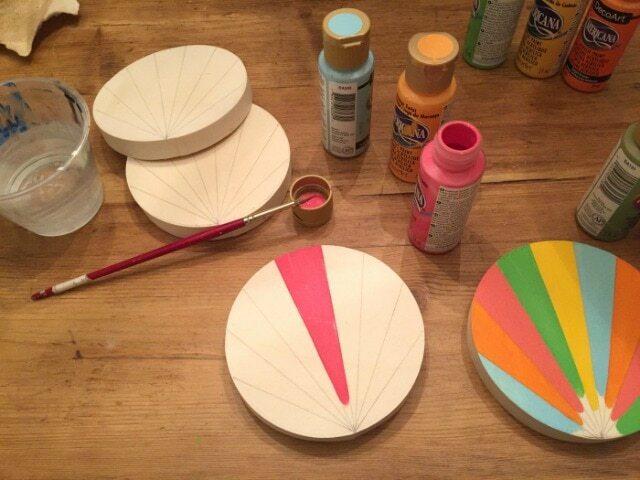 Step 5: Stack all 3 layers together and glue in place with wood glue. Lay flat to dry. 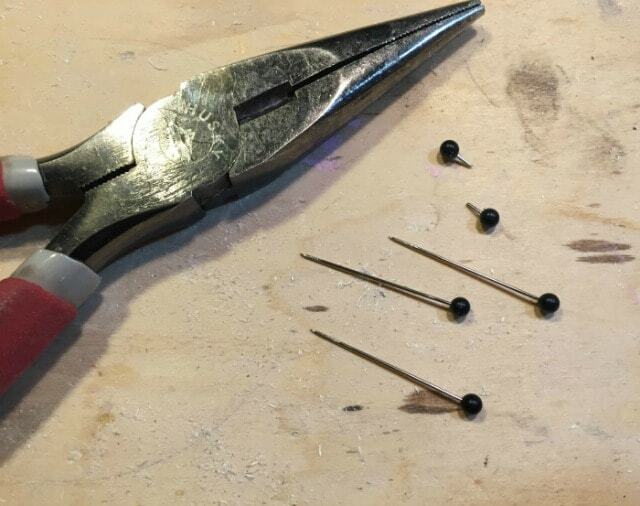 Step 6: Using a wire cutters trim off the long metal pin portion keeping only a small tip. 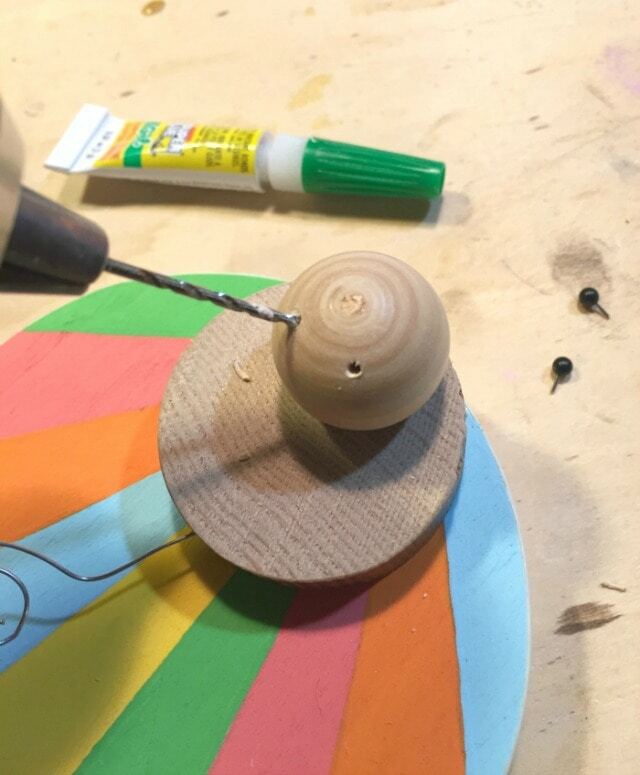 Step 7: Predrill a tiny hole into the wood doll head and insert straight pin with a dab of super glue. 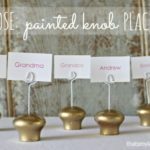 Print out names onto cardstock and insert into wire holder. 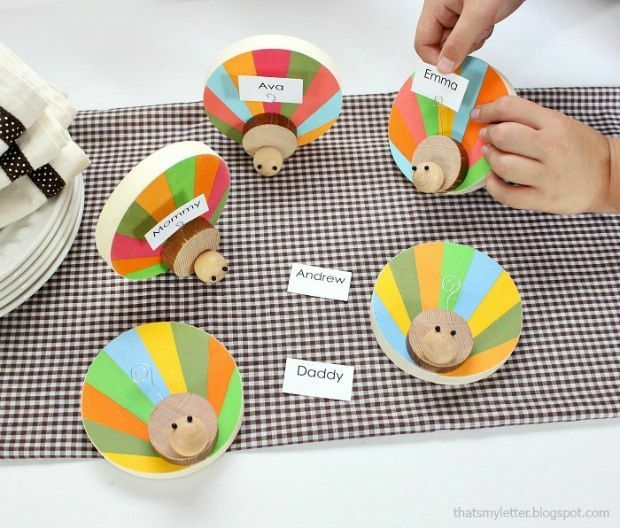 These wood turkey place card holders stand up on their own, if yours are wobbly consider adding pipe cleaner ‘legs’ to support the sides and even a cute little beak would be fun. 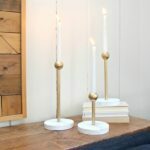 And if you’re looking for more small projects with wood be sure to scroll down. 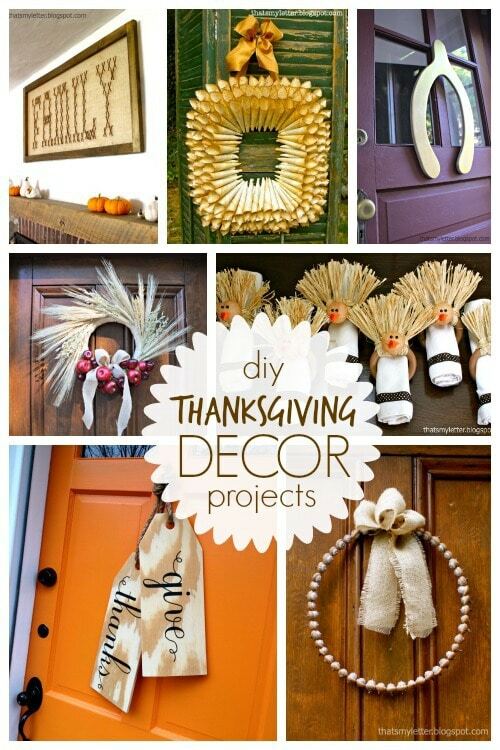 Looking for more Thanksgiving decor ideas and project inspiration? 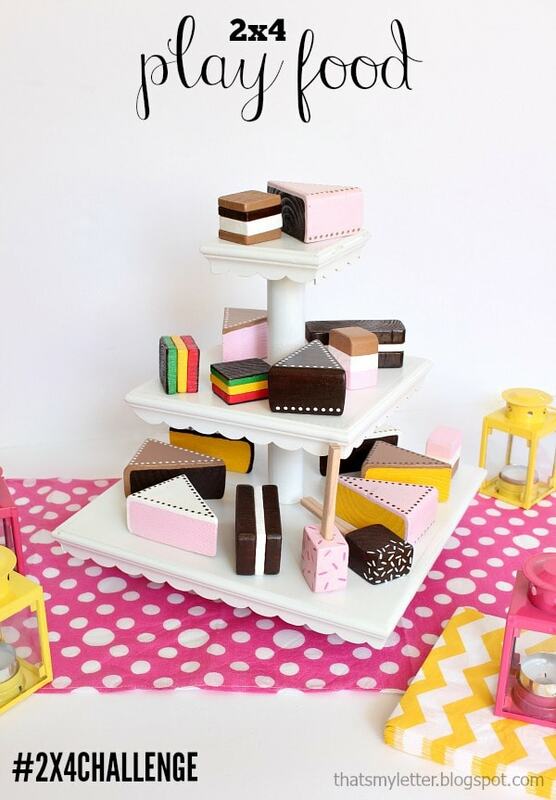 How about these GOOBLE wood place mats?